From Manila, proceed south along the South Luzon Expressway (SLEX or South Superhighway). From the Makati EDSA flyover it is approximately 40km to the Calamba toll plaza. From there proceed 3.1km to the Calamba exit and exit to the right towards Sto Thomas and Batangas. Proceed towards Sto Thomas for 7.5km where you will see a large green sign on your right pointing to the new STAR Tollway to Batangas. Follow the signs for Batangas. At the Batangas Port exit, turn left towards Batangas City. After 3.0km keep right past the ‘Lions’ Monument and make the next left turn at 3.4km. Drive to the next intersection at 3.7km and turn left. Head straight until you see the sign for Lobo, SM Mall and the Shell refinery at 4.1km and turn right. Follow the signs to SM Mall, Lobo and the Shell refinery, on the way you will cross a bridge at 5.1km and shortly after you will see the Pontefino Hotel. Before arriving at the hotel turn right at the Y intersection at 5.6km that will take you to the new SM Mall at 6.2km. Continue straight past the Mall, past the Shell station and keeping left, lookout for signs to the Shell refinery. At 8.9km you will pass over a small bridge, and at 10.1km arrive at the Shell refinery. Continue along the winding road around the refinery. At12.6km you will pass the flour mill (beware of the speed humps near the entrance gates), and at13.8km take the small dirt road on the right immediately at the end of the Flour Mill fence (about 100 meters after the second speed bump). 200 metres down this road is Berberabe Beach. If you bring your own vehicle, the only regular car roll on-roll off (RO-RO) ferry directly to Puerto Galera is the Montenegro Shipping Line from Terminal 1, leaving Batangas Pier 7:00 A.M. and 12:00 Noon and departs from Puerto Galera (Balatero Pier) at 10:00 A.M. and 5:30 P.M.. The ferry can hold only 6-10 vehicles, it is advisable to be at the Port as early as possible to reserve as they do not accept prior reservations. The other option to reach Puerto Galera would be with the regular, bigger car ferries going to Calapan. The ferry leaves every two hours, even during night time. The distance from Calapan to Puerto Galera is about 51 kilometers and takes about one and a half hour drive. 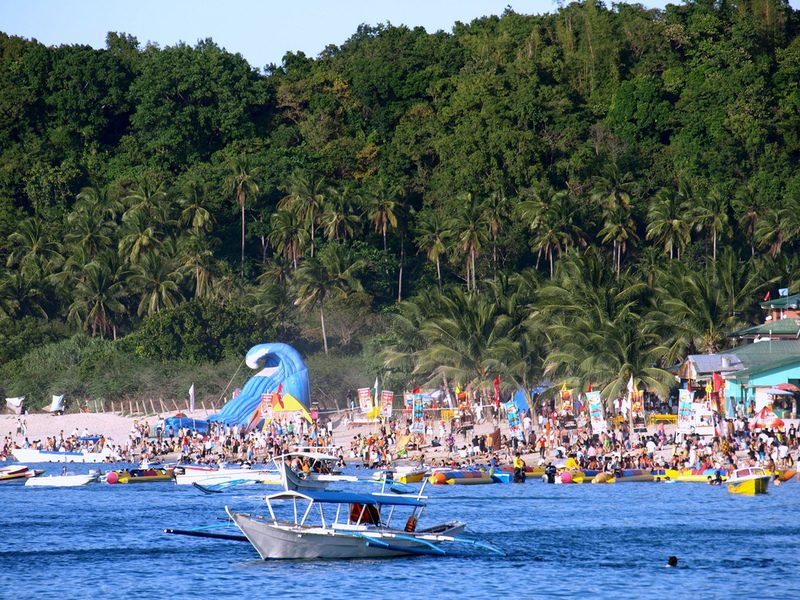 Upon arrival in Batangas Pier, there are ferries and outrigger boats going to Puerto Galera. Please check at the terminal counters for the schedule of departures. The timetable for the ferries and outrigger boats changes quite frequently, so it is advisable to phone them for confirmation but they usually leave Batangas Pier at every thirty minutes or hour intervals. There major passenger ferries are Minolo Shipping Lines (MSL) and Father and Son Shipping Lines (FSL). Ferries and outrigger boats to Puerto Galera have different destinations- Muelle Port, Sabang, White Beach Balatero & Minolo Port. White Beach is the closest landing point to Mount Malasimbo. The ticket costs 250 to 280 pesos, one-way. You may hire a private bangka to Puerto Galera from Berberabe Beach for approx Php 4,000 one way. Book here. There are more than 130 resorts in Puerto Galera where you can book your stay. Most of them are located in the village of Sabang and San Isidro (White Beach, Tamaraw Beach). 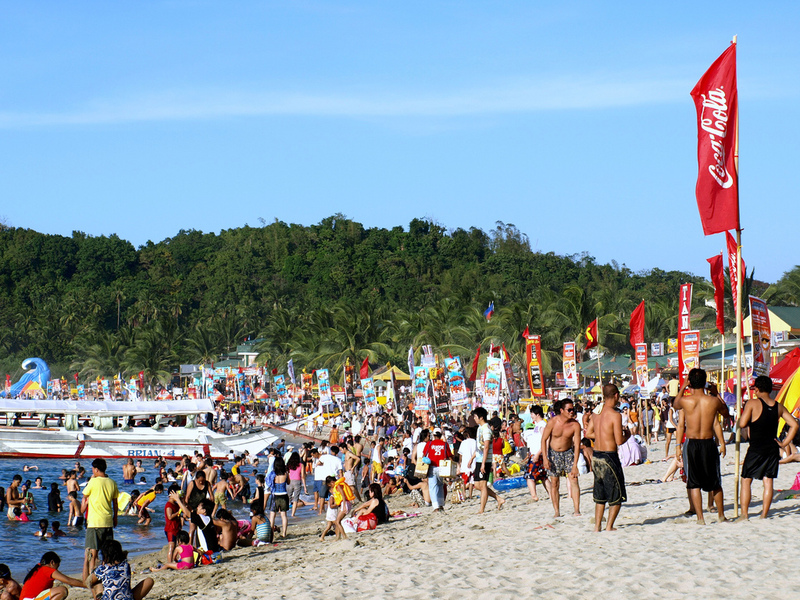 White Beach is the closest point to the Malasimbo Festival grounds. Camp at the Malasimbo Festival grounds and get free access to the daytime program that runs from 10AM to 4PM on Saturday and Sunday! Rate per day: Php500 per person. Get yours now online at TicketWorld! 1. Bring your own tent and gear. 2. Running water and portalets are available on the camp site. 3. Pack light and keep your valuables with you at all times. The festival organizers are not liable for damage or loss of your belongings. 4. Cooking is not allowed. As a safety precaution, only packed food will be permitted on the camp site. There are food vendors on the festival grounds. 5. DAY PASS: Friday campers get in free on Saturday Day Program, Saturday campers get in free Sunday Day Program, Sunday campers get in free Sunday Day Program. Jeepneys dedicated to the festival are available throughout the 3 days to shuttle you to and from 6 points in Puerto Galeara. The jeepneys are independently operated by Puerto Galera’s Jeepney Assosication. Diving, Island Hopping, Trekking, Jet Skiing, and Kayaking are among the many activities you can do while on Puerto Galera. Here are some places you might like to check out. About 15 kilometers away from the town proper. Its natural beauty and pristine clear water makes it as one of favorite attraction of tourists, as well as its close proximity to the road. A recreation hall, picnic huts and shower room will lead you down. Tukuran River is about 25 kilometers from the town proper. Experience the lush green vegetation while riding in “kangga”. A short walk from the Immaculate Concepcion Church, it houses artifacts and antiques excavated within the municipality. The precious jars are clear manifestation that indeed Puerto Galera was the a trading port between China, Malay and other Asian continents. It was established under the iniatiative of the late Fr.Erwin Thiel,SVD. Corals and coral reefs are seen or viewed while in a motorboat near Tangalan point, San Antonio point, Medio Island, Minolo Paradise and in Sabang Plateau.You’ll enjoy fishes of varied colors zigzagging through reefs and corals. Baclayan/Talipanan Mangyan Settlement are areas you can visit where the native tribes reside. Located 2,000 ft. above sea level, all inland bays and coves of the town are easily captivated here. A 9-hole golf course,and a clubhouse with spectacular view awaits you. A protected area where you will find exotic and massive trees of different species. More than 1,000 reptiles and other animals are waiting for your visit. close to king cobras, black mambas, giant snakes, spitting cobras and lizards. Guided tours are available at the zoo. 1. Black Rice and the Cross with two Canyons at Muelle, Poblacion. 2. Garita or Guardhouse at Behiya, Lalaguna that was the guarding point for the entry of pirates and marauders to the coves of Puerto Galera.